It may be the height of the "silly season", when out of office replies are the standard as everyone jets off on their holidays, but the torrential rain seen across parts of Scotland and Cambridgeshire last week have been a reminder to all of us of not only how damaging floods can be, but also how unpredictable. 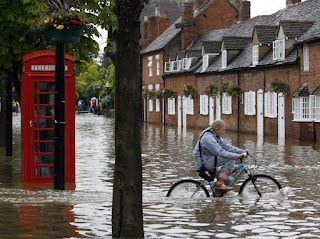 While we may be powerless when it comes to the weather, making a few straightforward preparations, as set out below, can allow us to greatly mitigate the damage and distress caused when floods do occur. 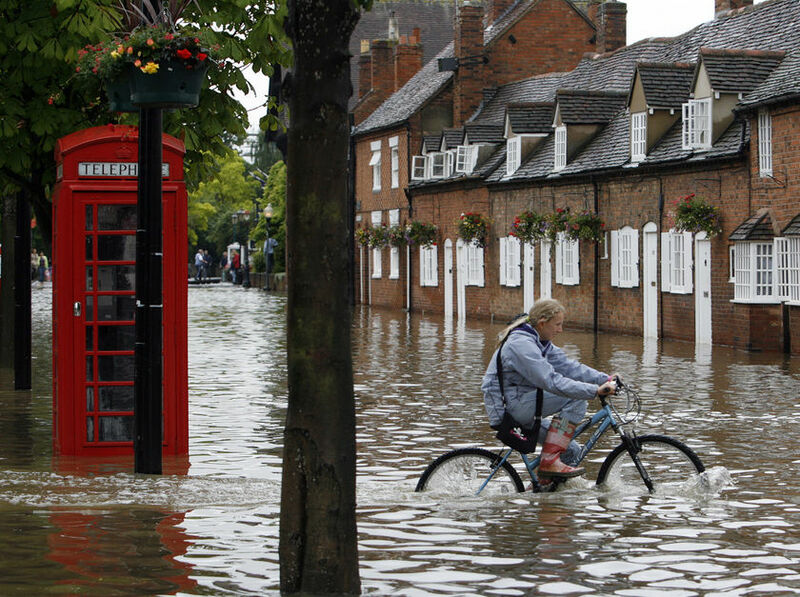 The Environment Agency, Emergency Services and other authorities all issue advice on what to do in the event of a flood and up to date information for specific areas can be attained by calling the Environment Agency Flood Line on 0845 988 1188. If a flood warning is issued, it's a good idea to make up a flood kit. This should contain a plan detailing how to turn off the gas, water and electricity as well as an evacuation site and a list of what you'll take with you. The flood kit should also contain blankets, a mixture of warm and waterproof clothing, wellington boots, a first aid kit, rubber gloves and hand sanitiser. To minimise damage, move all valuable items and documents to a high place and keep a small stock of strong plastic sheeting, sandbags and sand that can be used to protect your property's doors and air vents against rising floodwater. If more long-term protection is needed, use domestic flood barriers instead and fit toilet bungs to all downstairs WCs to mitigate the effects of floodwater rising through the sewage system. Disconnect washing machines and dishwashers to protect them from backflow and turn off the gas, electricity and water at the stop valve. Close the lid on downstairs WCs and put a weight on top or use toilet bungs. It's important to take care when walking through floodwaters for hazards lurking below the surface and if possible, to keep children and vulnerable people out of the water altogether. As floodwater is often contaminated with sewage, chemical or animal waste it's also important to wash hands thoroughly after contact. Once the flooding starts to recede, the standing water can be removed using a pump and generator but these should be used with caution. Position the generator outside in the open air as generators produce carbon monoxide fumes which can be fatal. Only pump out water when the flood levels outside the property start to be lower than inside as this reduces the risk of structural damage. Before using any central heating make sure gas or heating oil supplies have been checked by a qualified plumber or heating engineer. It's important for consumers to check that any person working on a gas installation is registered with Gas Safe and carries a Gas Safe Register photo ID card. Once checked, keep the thermostat between 20-22 degrees centigrade for steady drying. If the property is being dried out naturally keep the doors and windows open as much as possible but if a dehumidifier is used close the external doors and windows. If you have any suspicion that the drinking water has been contaminated, for example, if the water runs an unusual colour or tastes different contact a plumber straight away who will be able to inspect the drinking water and in some cases take a sample for analysis and disinfect the water system inside properly.